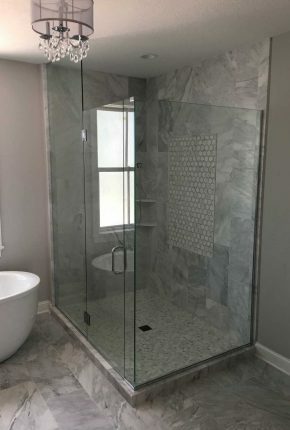 If maintaining a sense of openness is a priority for you in your new bathroom, you might consider an open shower design. 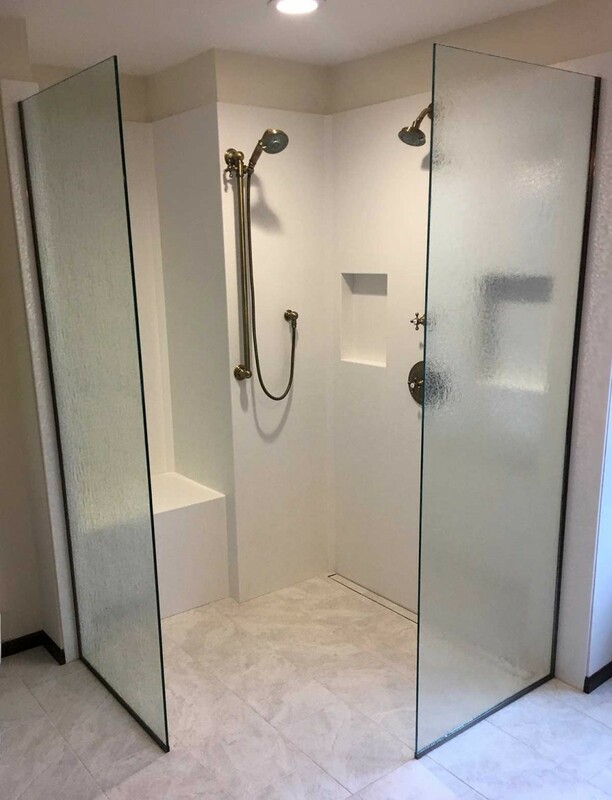 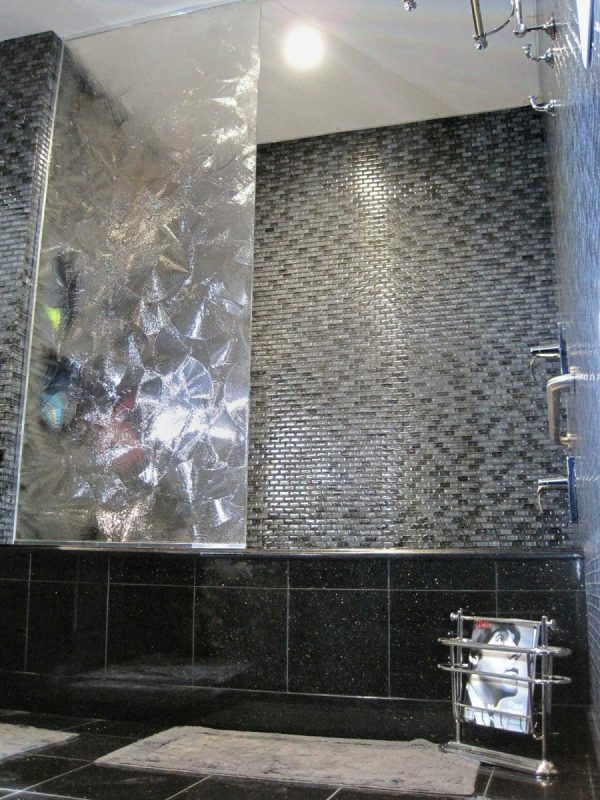 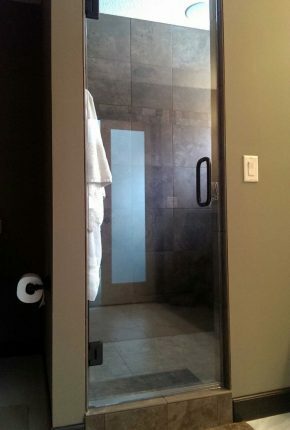 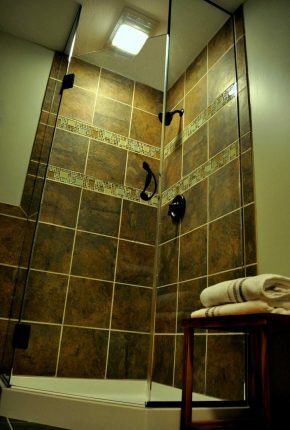 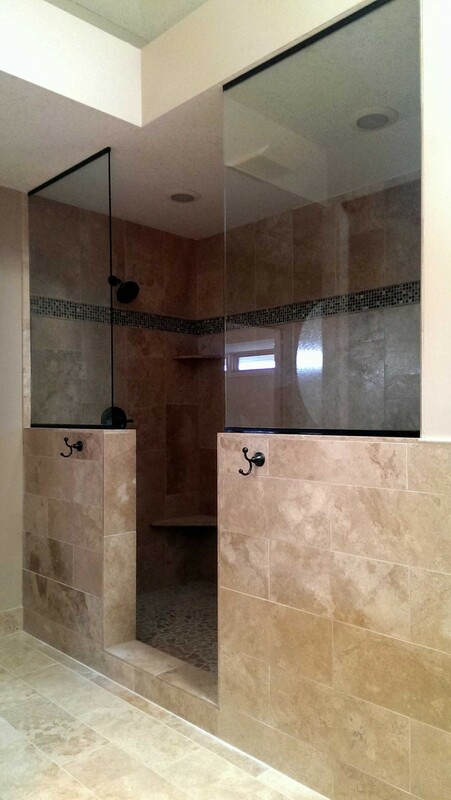 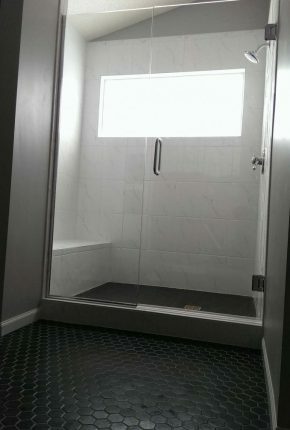 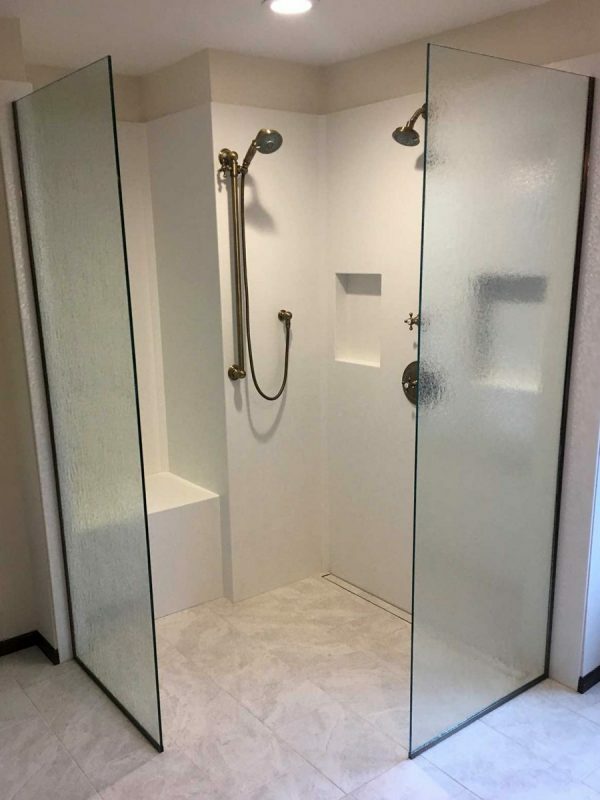 Forego the door and use a stationary glass panel or two to finish off your shower space. 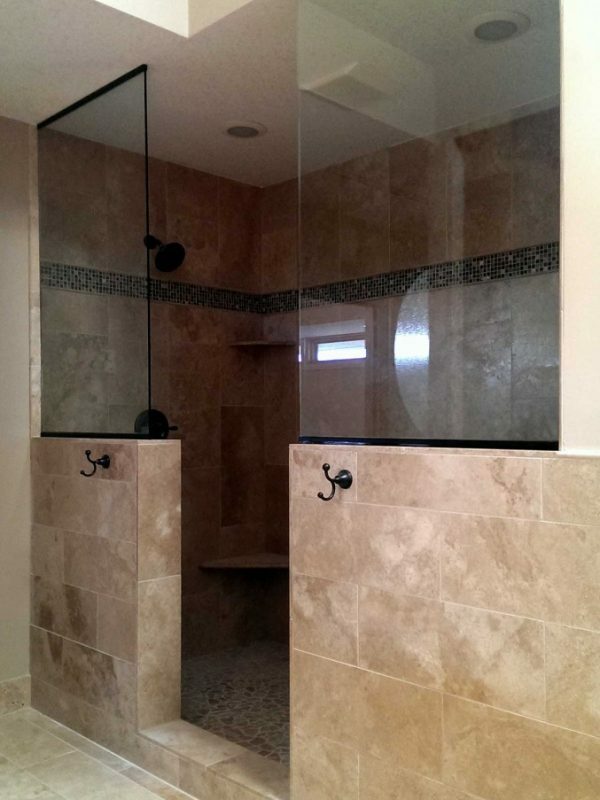 This style of frameless shower allows the most air and light to move through a bathroom. 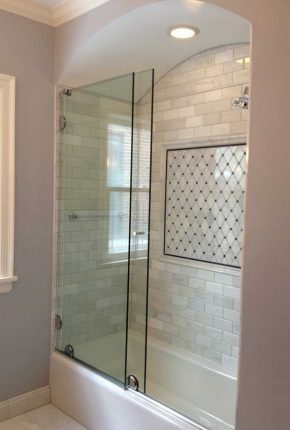 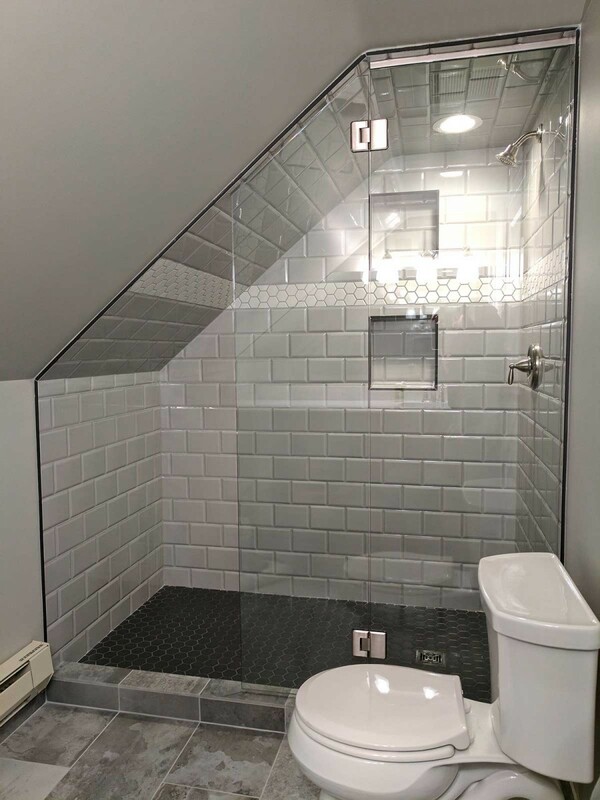 Designer tip: While pattern glass obstructs your view of tilework in many showers, it can offer a very appealing look in open showers especially when a pattern is chosen that complements and accentuates the surrounding tile.